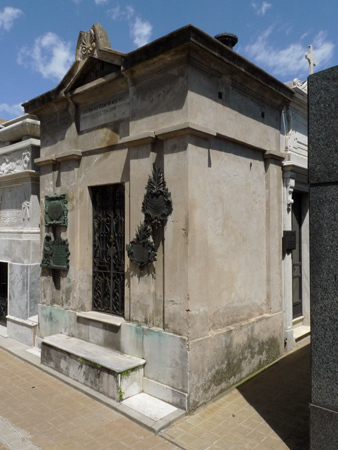 Born in Buenos Aires in 1822, not only did Luis Saénz Peña have to choose sides during the difficult period of national organization under Rosas, but he also had to choose a career. His parents wanted a doctor in the family while he had a preference for law. Saénz Peña did both. 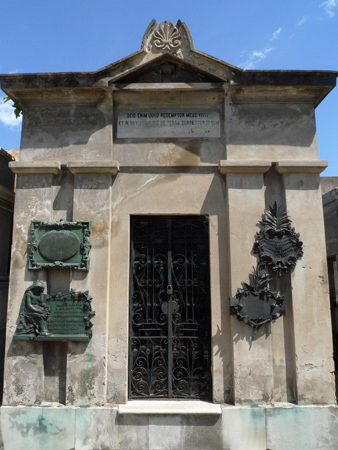 Some of his illustrious classmates in med school were Guillermo Rawson & José María Bosch while he was accompanied in law school by Bernardo de Irigoyen & Rufino de Elizalde. Only after the expulsion of Rosas did Saénz Peña come into the public eye. In 1860 he formed part of the Convención de Buenos Aires, responsible for a new draft of the constitution & firmly believed that BA should form part of the Argentine Confederation. Twenty years later, Saénz Peña held a variety of provincial & national posts—too many to mention here—with the most important being a representative/diputado in the National Congress, then head of the Supreme Court. After the 1890 Revolution, he sided with Roca & Pellegrini… & as a result later became involved in a family scandal. During 1892 presidential elections, the liberal UCR party thought Bartolomé Mitre would be a sure win while conservatives under Roca’s influence thought it best to continue to support Pellegrini. Some conservatives broke away from Roca & presented Roque Saénz Peña—the son of Luis—as their candidate. Intimidated by the change Roque would bring, Mitre, Pellegrini & Roca formed an alliance to present Luis Saénz Peña as their alliance candidate. Tricky, tricky. Of course Roque would not run against his own father, so Luis became President. 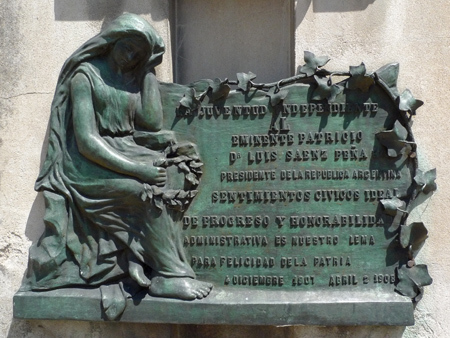 His term is known for modernizing the nation, but eventually Saénz Peña lost Roca’s support, faced a series of uprisings & eventually resigned to let his Vice-President José Evaristo Uriburu take over in 1895. Scio enim quod redemptor meus vivit et in novissimo die de terra surrecturus sum.